It has been just over two weeks since Geoff and I finished our adventure. Most of the kit has been washed, repaired and stored away, swollen hands have just about returned to normal (although I still can’t get my wedding ring on). Neither of us has yet got back in a boat but we’ll be putting that straight very soon. 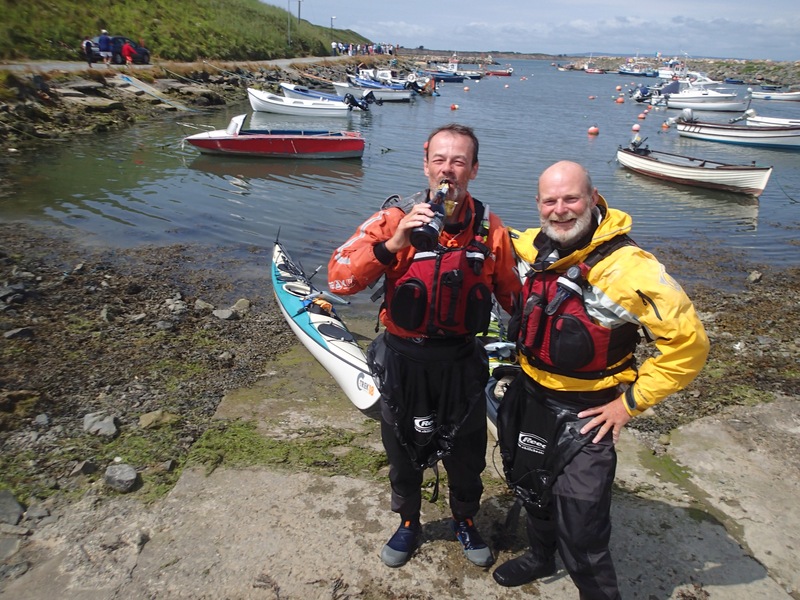 We’re looking forward to getting out on the water and not having to worry about cracking out 30 or 40 miles or where we’ll sleep for the night. 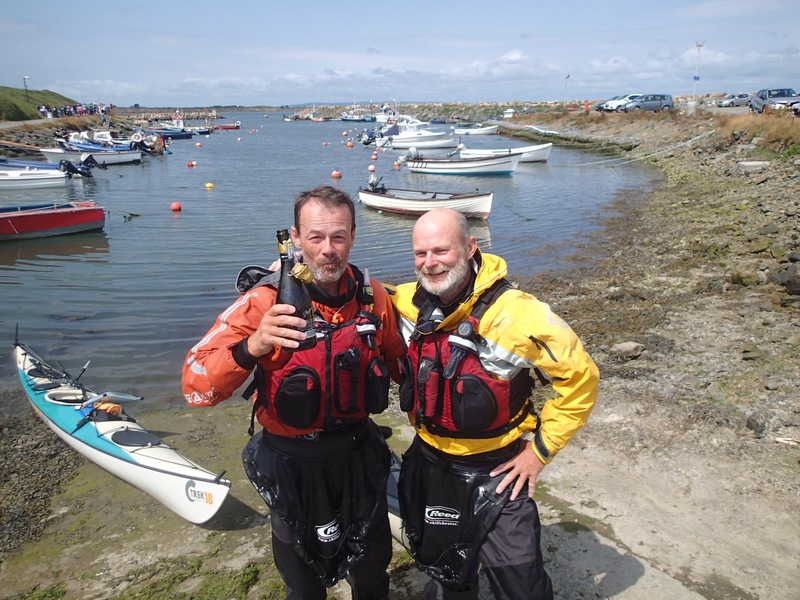 We haven’t yet sorted through all the photos and video clips – but when we do, we’ll put together a short video of the paddle and post it on here. Bobbi and Dave for organising the raffle at the Royal Standard in Gerrans; Diana; Samaritan Volunteers; Anne and Terry; Steve and Lucy; Toby; Maggie; Derek; Cynthia (again! ); Chris and Nett and Liz. Our total, including Gift Aid, is now £2,312.50 – amazing. Thank you so much! We will be closing down the fundraising page very soon so that the money can be handed over to our chosen charities – so if you did intend to donate then you’ll need to get your skates on! 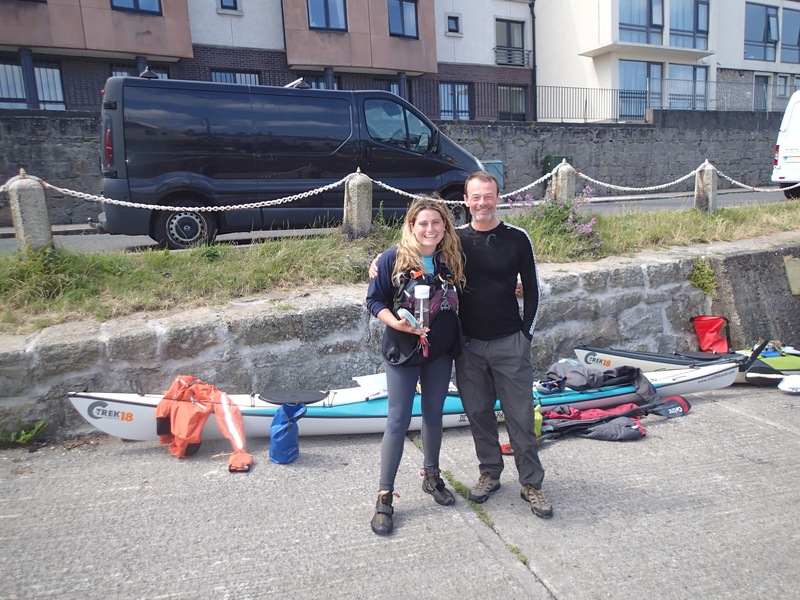 Landed just after midnight in Wicklow harbour (once we managed to find the entrance in the dark) – another 32 miles today leaving around 55 to go. The last few days have been tough and a bit of a roller coaster. 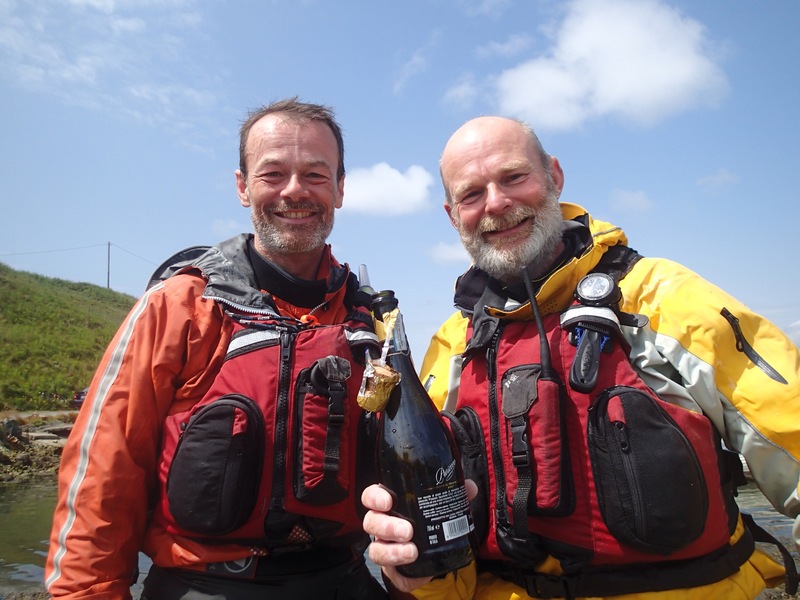 We had hoped to finish today (Friday) but the Irish Sea has given the pair of us a real hiding on three separate ocassions now – forcing us either to run (paddle) for a safe harbour or certainly slowing progress right down. When the sea picks up on this coast it produces a short steep chop and winds can accelerate quickly round mountains to deliver conditions way above what was forecast. It is certainly making us work for these last few miles. Two amazing coincidences today. We crossed Dublin Bay, dodging three ferries, but as we tried to slip through between the mainland and Dalkey Island the winds got up suddenly and fiercely. We battled against it for fifteen minutes or so but failed. We had to turn in to the Bay and headed for Dalkey Harbour. 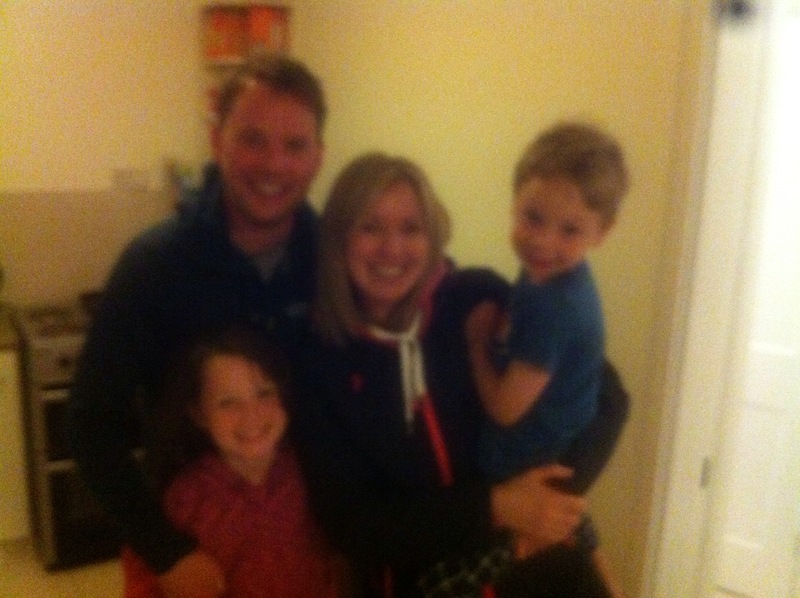 There we met Jenny Kilbride who runs a kayak school www.kayak.ie – if you are in the area and fancy a crack at what Geoff and I enjoy so much you should look her up. Some great coastline to explore and Jenny has a huge amount of experience and knowledge to share. The coincidence? Jenny was at college with a friend back in Cornwall, Roz Osborne. 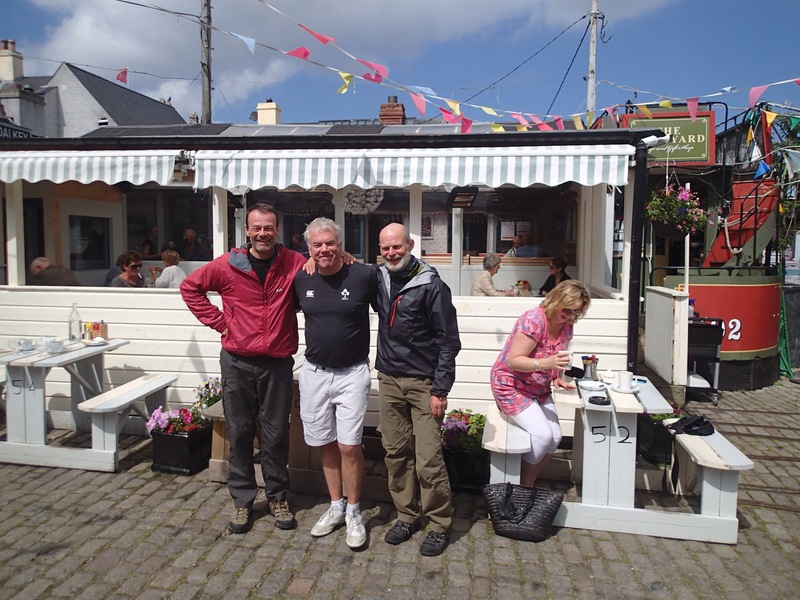 We also met a great colleague of Jenny’s – Mac who gave us a history lesson of the area. Next a chap walking by stopped and asked if we had paddled round Ireland. Which was odd because most people don’t come straight out with that question. He then said he’s been following our blog. Now we were confused. What are the chances? 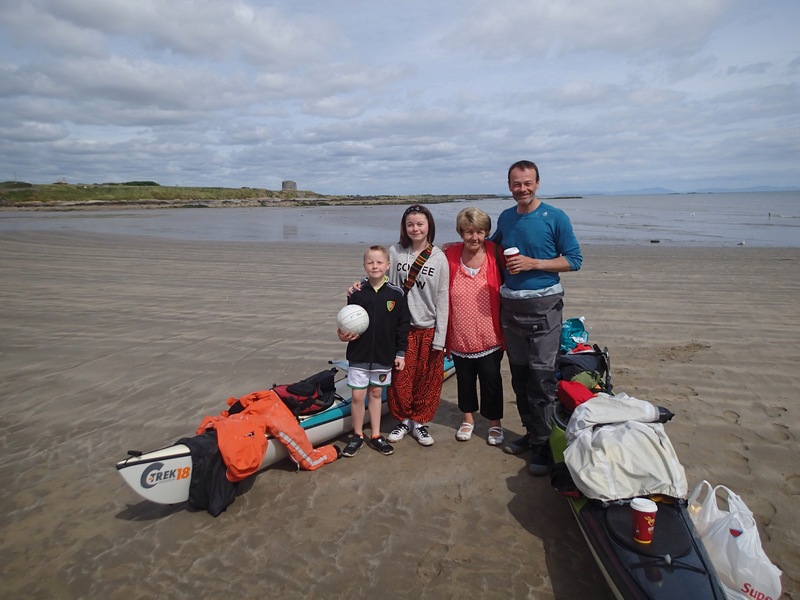 He told us he had walked past our tents and kayaks late at night on a beach at Roundstone near the Aran Islands – he made a note of our web address which is in the boats and he’d been following is ever since. 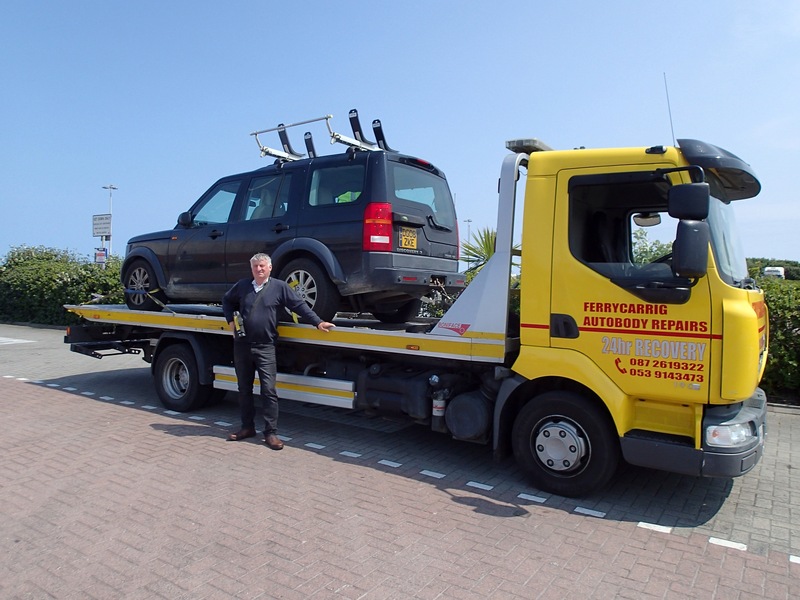 Derek (Hughes) popped off to get his car before giving us a tour of the area and buying us breakfast. Such a great chap and hoping we stay in touch after this trip too. 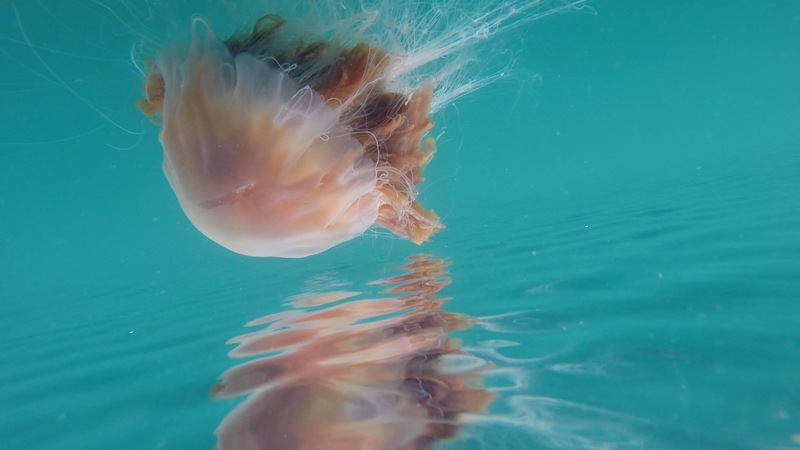 This trip never seems to amaze us – the conditions force us off the water and instead of feeling low about it we end up meeting some fabulous people. 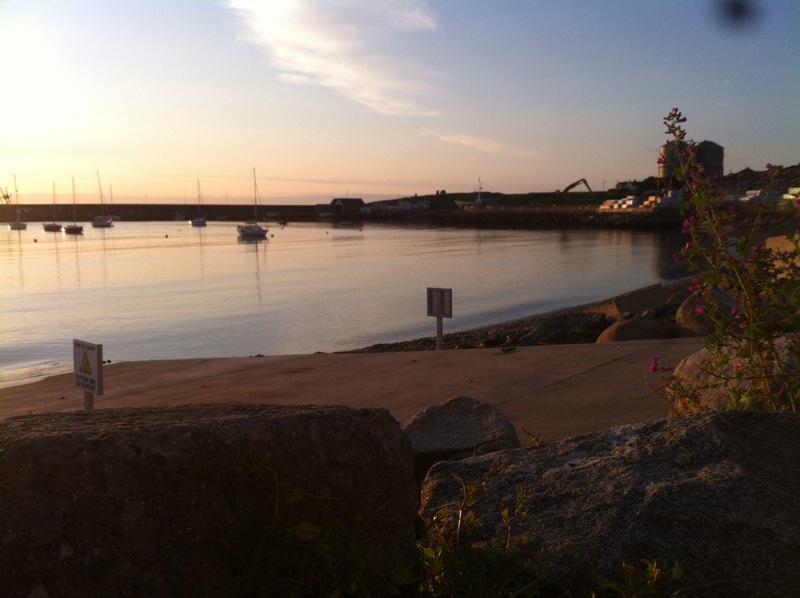 The view from my tent at 5.30am – 3 hours sleep and time to catch the tide gain….. 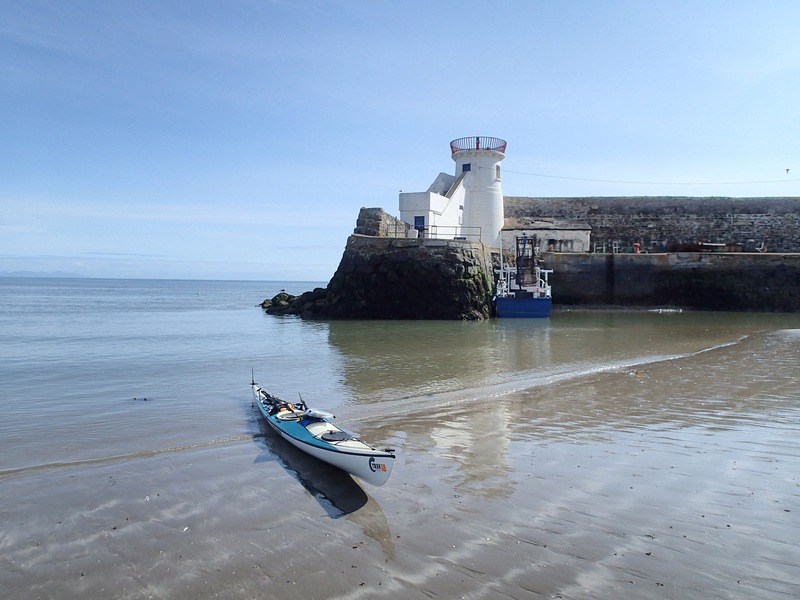 This morning Geoff and I set off from Clogher Head and paddled to Balbriggan where my brother in law’s, in laws live (if that makes sense). 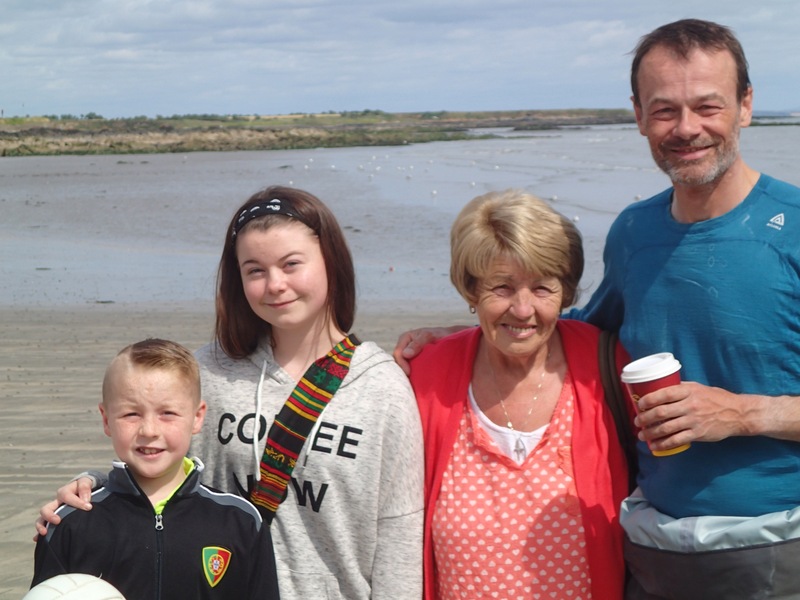 We were met on the beach by Mary, Ciara and Daire, who arrived with a cup of tea and a bacon, egg and sausage roll! The perfect stop. Thanks so much guys, it was great to see you!